Lisa is one of the founding members of the band Hippie Tendencies and has written two albums with the band, though a songwriter in her own right she often performs Jazz standards. 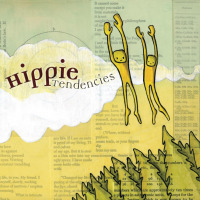 FOUR ITALIAN MUSICIANS AND THEIR AMERICAN LEAD SINGER LISA MARIE SIMMONS MAKE UP THE BAND HIPPIE TENDENCIES. 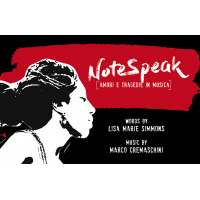 The first album, recorded mixed and mastered at Ritmo&Blu studios in north Italy covers a wide variety of subject matter. The title track answers the question of their choice of band name. While a nod to Lisa’s upbringing in Boulder Colorado, they also seek to reflect the most positive aspects of the Hippie/Beatnik movement while not claiming to be Hippies themselves. The band members simply believe in peaceful solutions to global problems, sustainable energy, and acceptance of religious, cultural and sexual diversity. 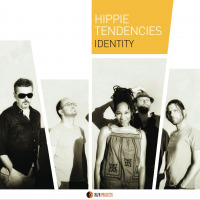 H.T.’s 2nd album IDENTITY, recorded principally again at Ritmo & Blu studios with some recording done at the Digitube studio in Mantova, was released in 2014 by Alfa Music. The subject matter is diverse and socially relevant, touching on themes that cover the spectrum, from the classic theme of love to the equally classic theme of heartbreak. From reflections on immigration to child abuse. The lyrics are often profound and moving and melodies shift from soulful, African rhythms to upbeat funk and jazz tones. In 2015 H.T. returned to tour in America as well as Italy and parts of Europe. They are currently working on their third album. Despite very different musical and cultural backgrounds HIPPIE TENDENCIES become one vibrant musical Being onstage creating an uplifting, original and unforgettable show. The band’s sheer energy, passion and love of performing quality music is truly engaging and the audience feels drawn from the first song. The chemistry and virtuosity between Lisa and the musicians is palpable on stage and transmits whether they’re crooning or rocking. As a songwriting team with Marco Cremaschini she has collaborated with a long list of musicians: drummer Larry Thompson (Stevie Wonder, Michael McDonald ) Anna Maria Castelli , Alan Farrington, Lisa Bell, Cheryl Porter, Filippo De Paoli, Enrico Sauda, Loris Baroni among many others. Besides performing for Non Profit events they also work with the non profit company Charity Spring, writing music for their use. All About Jazz musician pages are maintained by musicians, publicists and trusted members like you. Interested? Tell us why you would like to improve the Lisa Marie Simmons musician page.